A streak of green lights can make even the most godless of drivers thank deities. Next time direct your praise to the Los Angeles Department of Transportation’s Automated Traffic Surveillance and Control system (ATSAC). Located in the City Hall annex downtown, ATSAC monitors and adjusts the timing of traffic signals at every intersection, reducing delays in real time. Much of its infrastructure isn’t visible to drivers, but since its completion in 2013, it has helped improve travel speeds. Our roads are rigged to detect the movement of any steel-framed vehicle entering one of the city’s 4,400 signalized intersections. The slightly raised areas on top of the pavement hint at the sensors below the surface. ATSAC computers operate 24 hours a day, continuously adapting green signals to changing conditions. An intersection with low morning traffic may have a short green light; during rush hour, that area could get a longer “go” signal. Approximately 450 closed-circuit video cameras overlook the city’s busiest intersections. Engineers can manually override the main ATSAC computer, but they rarely need to. 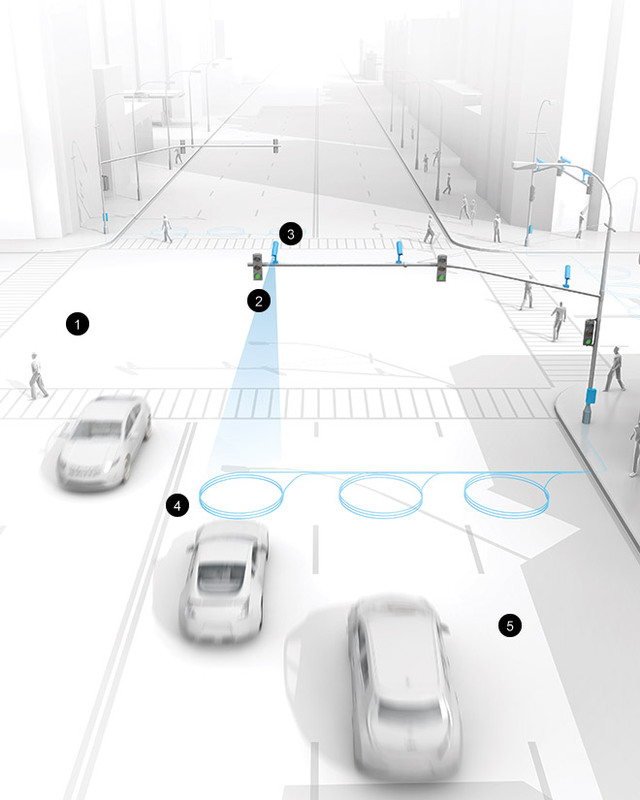 The system is programmed to adjust instantly and keep lanes flowing. Through magnetic induction, more than 25,000 embedded sensors pick up information about the vehicles passing above them. Some activate lights; others track the number of cars, traffic speeds, and congestion levels. Underground fiber-optic cables link all of the city’s traffic signals, relaying data to the engineering team downtown. Introduced in 1984 for the Olympics, these cables have proved more reliable than a wireless system.